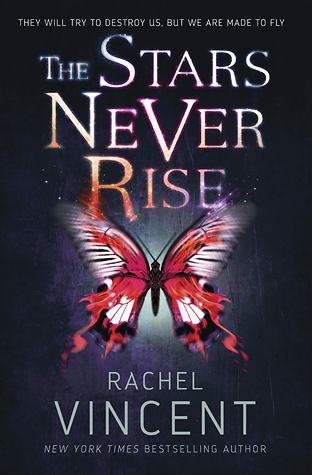 A few years ago I think I would have enjoyed The Stars Never Rise. I would have been happy with the world building, I would have been able to ignore the poorly formed love interest. I would have been able to just go along for the ride. The problem is it’s 2015 and, as a reader, I am demanding more from the books I read. I don’t want to sacrifice character development for world building. I don’t want half assed love interests. I want more and The Stars Never Rise fails to deliver. Let me take a moment and break down the plot of this book. There was and end of the world style event and demons started possessing people and those people, after being demons for a long time, turned in to zombies…yeah. Anyway, because of these zombies city safe zones formed and they are all led by a Catholic Church-esque religious organization. Are you following? Honestly, neither was I. I mean, I understood what was going on but so much of this book was spent trying to explain the slap together world building that there wasn’t room for anything else. Like character development. Every character in this book felt one dimensional. The reader only gets to know them on a superficial level and I actually kept getting a few of the characters confused. There just simply wasn’t the space in this book to have characters and explain how everything was meant to fit together. I might have been able to ignore the poor character development, especially of the supporting characters, if the budding relationship between Nina and Finn had been fleshed out. No such luck though. This romance was cringe-worthy. It was confusing, jumpy, and left me feeling kind of grossed out.